The Japan Sumo Association is preparing to host U.S. President Donald Trump at an upcoming tournament after learning he wants to watch a live sumo bout during his visit to Japan at the end of next month, a source with the organization said Friday. The Japanese government has also started making arrangements so Prime Minister Shinzo Abe can join Trump at Tokyo's Ryogoku Kokugikan. Trump's aides have requested box seats located near the first three rows at the indoor sporting arena during his visit, which is expected to take place from May 26 to 28. The box seats or "masu" seats are fenced in a small square with four cushions. 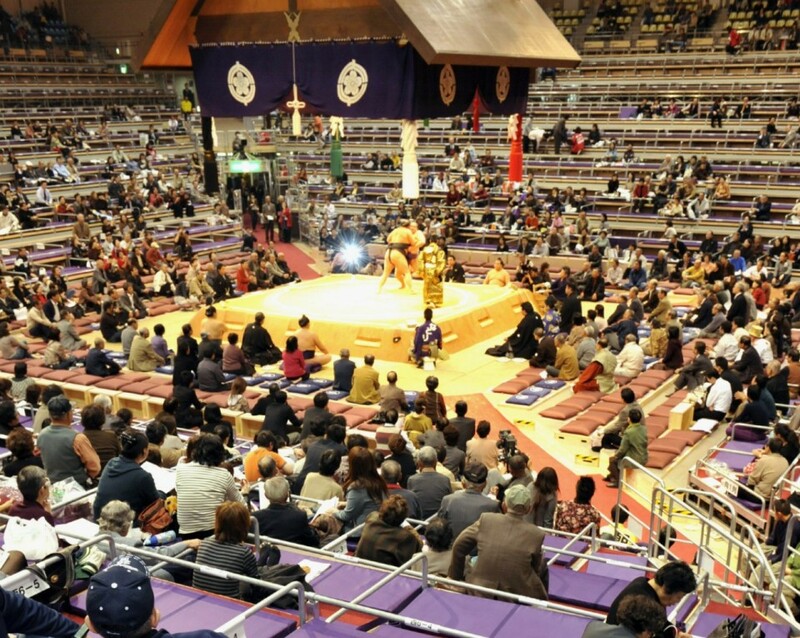 The closest of them are within 7 meters of the ring, with several rows of ringside seats between the boxes and the action on the raised ring, known as "dohyo." Sumo wrestlers competing in the sport's top division on Friday expressed excitement over a possible visit by the U.S. leader. Mongolian grand champion Hakuho, who has claimed a record 42 championships, said, "I'm thankful. I'm not sure if we will get (this opportunity) again, so I want to do my best (if Trump comes)." Takakeisho, a Japanese wrestler in the sport's second-highest rank, said, "Sumo is Japan's national sport. I want to show that it's also a spiritual ritual." Japan's ancient sport of sumo dates back many centuries and remains popular today, with tournaments often drawing sold-out crowds. Six 15-day grand tournaments are held every year and are aired live on NHK, the national public broadcaster formally called Japan Broadcasting Corp.